Last week we had the chance of catching up with the fine folks from Capcom. They were in town to give the east coast press their own little E3, minus the booth babes and well… any other publishers. 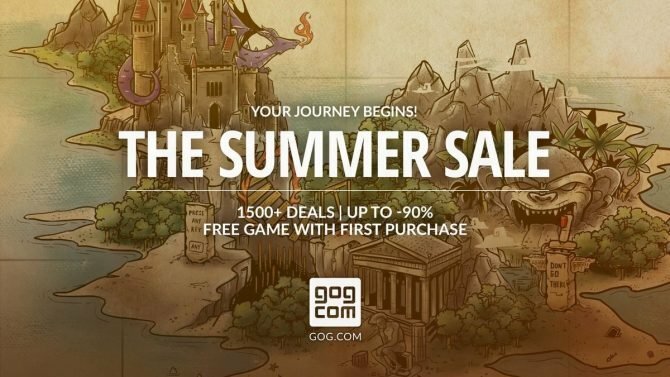 It was a good move considering that we totally forgot to book anytime with the company during E3 this year, and now after checking out Dragon’s Dogma, I’m kicking myself at the thought that we missed the title while we were in LA. 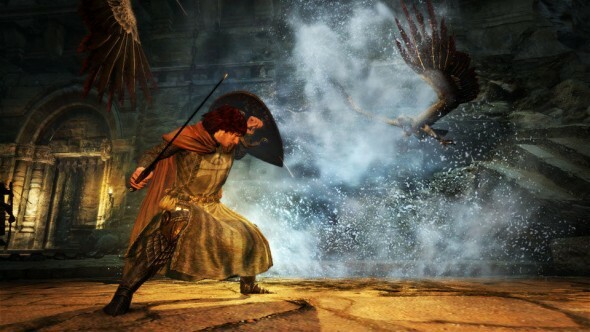 Once you see Dragon’s Dogma in action you’ll understand why I’m so upset having missed this one. To put it simply — this game is gorgeous. And it comes as no surprise considering that it uses Capcom’s MT Framework engine, the same one behind Lost Planet 1 and 2. And while the second game in the LP series did show manage to show more pops of color than its predecessor, you have never seen this engine look this damn good. The game takes place in a high fantasy world. I’m talking like J.R.R. Tolkien high fantasy here with all the usual role playing suspects along for the ride. The Capcom rep wouldn’t get into exact details as our demo was more mechanics and gameplay focused, but what we were told was that this was more of an “open world action game with RPG elements.” And although that sentiment was reiterated on more than one occasion during our playtime, there’s still no fooling me. If BioWare’s Mass Effect 2 is considered an RPG and this isn’t, then I apparently know nothing about video games. But I digress. The segment of gameplay that was shown had our party of four battling it out on a hillside just outside of castle walls. The character used was definitely the warrior of the bunch as all of the attacks were up close and personal. 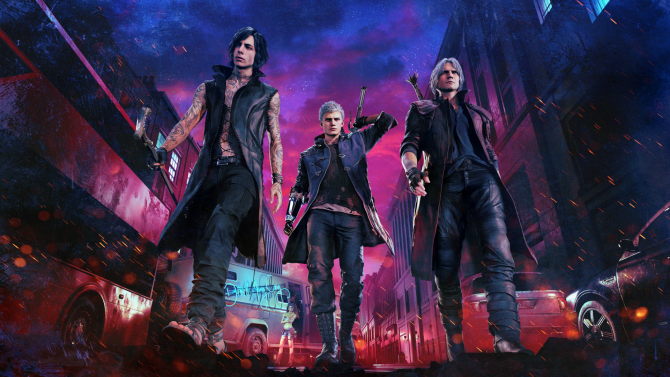 And although this game brought to us by the same team behind Devil May Cry 3 and 4, director Hideaki Itsuno and producer Hiroyuki Kobayashi, it doesn’t have any of the over stylized elements of those games. Actually besides Dead Rising, this is the most western feeling game I’ve seen come from Capcom, and that’s through both the visuals and design. During the action sequence our party was taking down a group of enemies.The other party members that join you are called pawns and they’re definitely a chatty bunch. One thing that I liked was that they aren’t a team of dumbed down AI that you have to worry about micro managing. They were just as engaged with what was going on as I was, evening pointing out strategies as we went along. While being attacked by enemies on the ground, at the same time we were being attacked by a giant griffin who was swooping down from the sky. Once that griffin landed though, it was dinner time. We jumped on that bird, faster than inappropriate relatives on Thanksgiving — while working on beating up different sections of its body until it was finally put down. Something that has to be pointed out was just how detailed the griffin was — I mean you were able to see individual (gigantic) feathers on its body. One interesting mechanic that was pointed out was the diversion system. You see the griffin that was attacking is attracted to blood, and if let’s say my party was under attack I would be able to use the blood of an enemy body to lure the griffin away and keep my party out of danger. Another interesting tidbit is that even though the world is completely open to exploration there will be areas that you may need to be of certain height to access. How you become that certain height wasn’t discussed in detail however. Throughout the battle there was an experience bar that was filling up on the lower left side of the screen. When I asked about leveling and progression the Capcom rep informed us that they weren’t talking about it just yet. 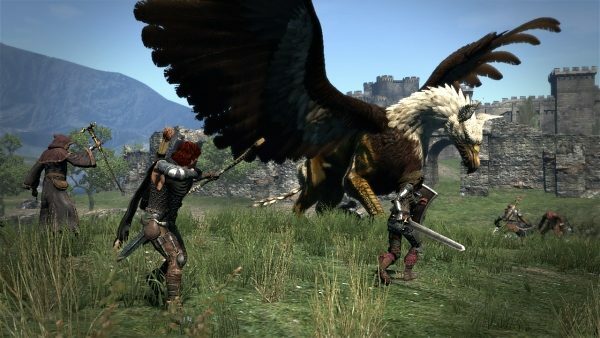 Hopefully, we’ll be able to preview more of Dragon’s Dogma in the months to come, especially considering that they’re expecting this action / role playing concoction to see an early 2012 release. 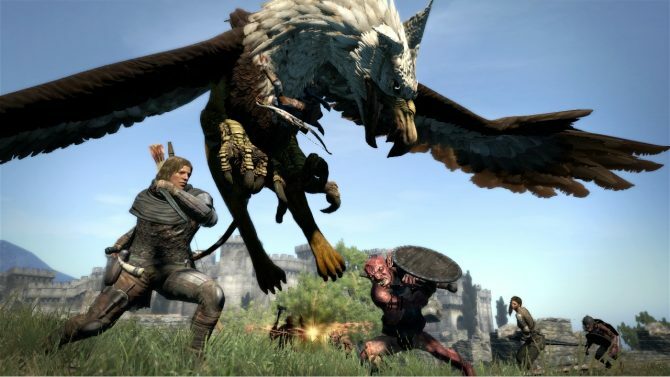 Among an effort by Netflix to expand its anime offerings, the network will be making an anime series based on Capcom's Dragon's Dogma.